As part of the Campus Montréal major fundraising campaign, HEC Montréal is pleased to announce the creation of the Deschênes | Molson | Lesage Family Business Centre, in the Entrepreneurship, Entrepreneurial Acquisition and Business Families Hub, thanks to financial contributions from the Deschênes, Molson and Lesage families. “The Family Business Centre will inform, support, coach and assist family businesses in the planning and transition process, as well as in the governance and development of their businesses themselves,” says Professor Luis Cisneros, who leads the team that will oversee the Centre. “Family businesses present special challenges, including sharing power and authority in a multi-generational context,” notes Denise Paré-Julien, the new Director of the Deschênes | Molson | Lesage Family Business Centre. Jacques Deschênes, honorary Chair of the Board of the Deschênes Group, encouraged Claude Lesage, of the family-run Giant Factories company, to join the other donors and initiated the transfer of the Institut québécois pour les familles en affaires to HEC Montréal, where it has become the Deschênes | Molson | Lesage Family Business Centre. 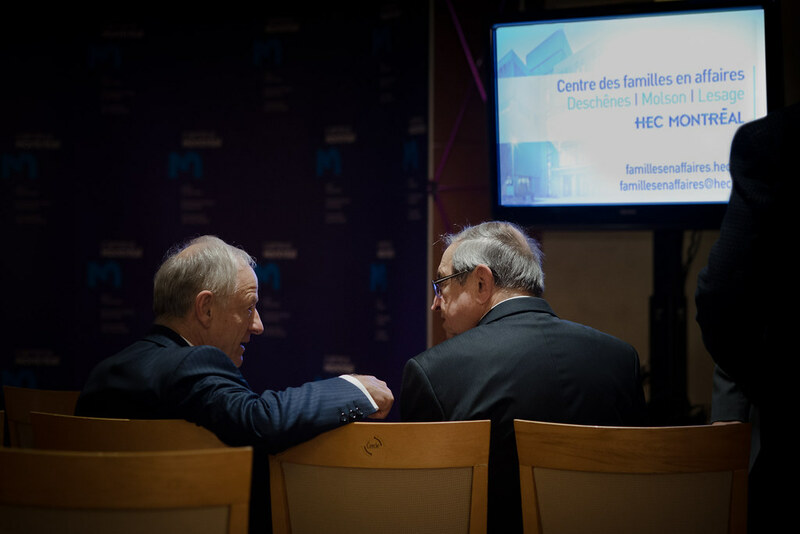 “HEC Montréal thanks the donors and intends to make this Centre the reference in terms of support and coaching for family businesses in Quebec and all other stakeholders in this field,” says HEC Montréal Director Michel Patry.